Less than two weeks after signing with the Buffalo Bills, Anquan Boldin has announced his retirement. For the second straight year, Anquan Boldin signed with a team late in the offseason process. It worked out pretty well last year, as he led the Detroit Lions with eight touchdown catches, and he signed with the Buffalo Bills back on Aug. 7. But according to ESPN’s Jim Trotter, Boldin has shifted course and has informed the team he will retire. With the trades of wide receiver Sammy Watkins and cornerback Ronald Darby just four days after Boldin officially signed, the Bills seem to be moving into future/tanking/wait for Tom Brady to retire mode. That probably didn’t sit well with the nearly 37-year-old veteran wide receiver, if he was delusional enough to think the team had any chance to make a deep playoff run. But in light of recent events, and the bigger picture beyond football, Boldin sees a greater purpose for himself. 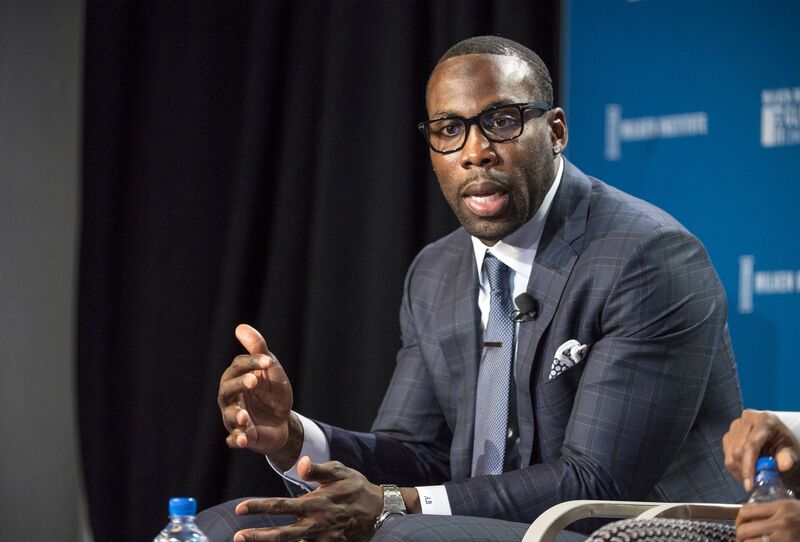 Boldin was named the NFL’s Walter Payton Man of the Year in 2015, so humanitarian causes and social issues are clearly a priority and a concern for him. His statement through Trotter reflects that, and he wants to put his focus on affecting change through the platform football has afforded him. Over 14 NFL seasons, with the Arizona Cardinals (2003-2009), Baltimore Ravens (2010-2012), San Francisco 49ers (2013-2015) and the Lions, Boldin had 1,076 receptions (ninth all-time), 13,779 yards (14th all-time) and 82 touchdowns (tied for 23rd all-time) while earning three trips to the Pro Bowl. Boldin will go down as one of the most under-appreciated wide receivers — and players — in NFL history. The league is worse without him in it, on and off the field. But if he sees a way he can make a difference in more important matters than football, he can and absolutely should do it.